Travelers say “Aloha” during the first NRTA-AARP trip to Hawaii, in 1966. 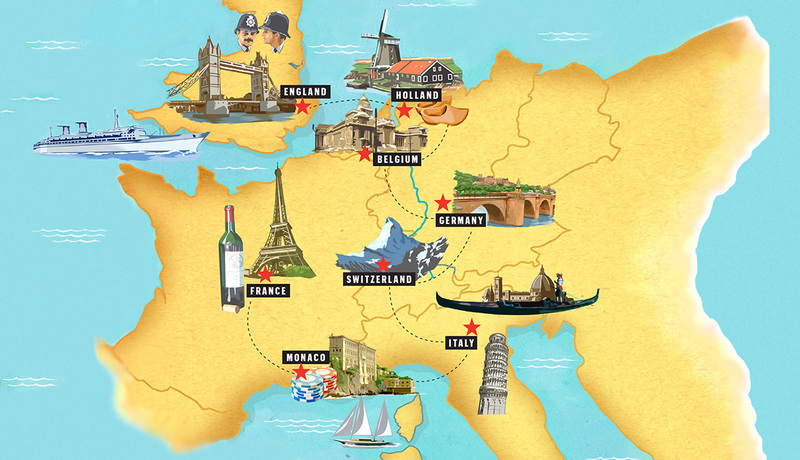 En español | Many retirees wanted to see Europe — but travel was often too costly and the logistics too difficult to navigate — so AARP founder Dr. Ethel Percy Andrus decided to help turn armchair travelers into savvy tourists. A new group travel plan was developed by the National Retired Teacher's Association (NRTA), the organization Dr. Andrus created in 1947, before founding AARP (NRTA became a division of AARP in 1982). It marked the first time that group tours had been designed for older travelers who weren't wealthy. Ruth Lana, another early AARP pioneer, remembered the birth of the idea. She said Dr. Andrus and others had been talking about it in Ojai; they wondered, how many members had been out of the United States? Why should they just stay at home? Positive responses prompted Dr. Andrus to launch the travel service in the spring of 1958. Lana took charge of the new program, which was an immediate hit. The first tour group leaves from New York. In the summer of 1958, some 300 members traveled in groups of 25 on ocean liners from New York City to Europe for a whirlwind 45-day tour of the continent. The travel package included all lodging, meals, transportation, escorted tours and assistance with luggage for the entire trip, which included stops in England, Holland, Belgium, Germany, Switzerland, Italy, Monaco and France. The price? $895. Travelers on the first group tour sailed from New York to Great Britain, then went to seven other countries before sailing home — all for $895. Travel remains one of the many benefits of AARP membership, and making travel affordable is a key goal. Travel-related member benefits include discounts on everything from rental cars, restaurants and hotels to cruises, flights and vacation packages. Members can also plan and book their trips on the AARP website, find information on specific destinations and keep up-to-date on travel news and tips at aarp.org/travel.